Sometimes, simply using an anti-wrinkle cream isn’t going to cut it. Trying to whiten some age spots is a bit more challenging than you’ve expected, even if you got the most popular whitening and bleaching cream out there. What to do next? What is a derma roller? What does it do for your skin? 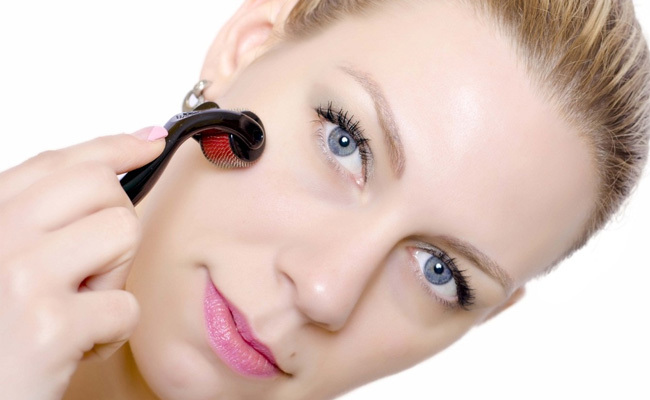 How to choose a derma roller? If you’ve never used a derma roller before, here’s one thing to keep in mind: this little tool can work its magic on any skin. 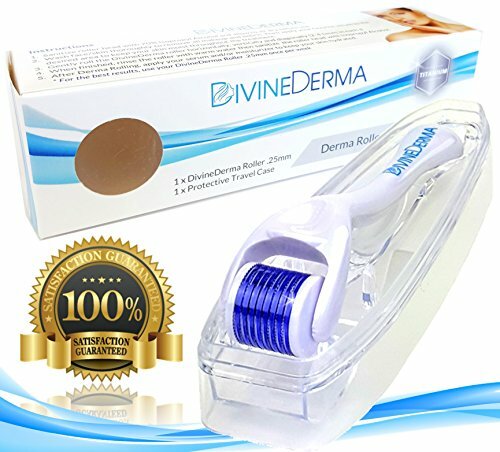 The derma roller comes with as many as 100 to 1,000 tiny needles placed on a rotating wheel. Its ergonomic design typically allows you to go smoothly on your skin, wherever you may need it to go. Able to help you fight against wrinkles, acne scars, stretch marks, hyperpigmentation, sun damage, but also to minimize hair loss, the derma roller is one little tool to include in your daily skin care routine. Even though a derma roller can do miracles on skin, there are some limitations to its performance. If the skin condition is only superficial and is not deeper in the epidermis, you can rely on the derma roller’s help. However, if the skin conditions are way deeper, you shouldn’t expect miracles from it. 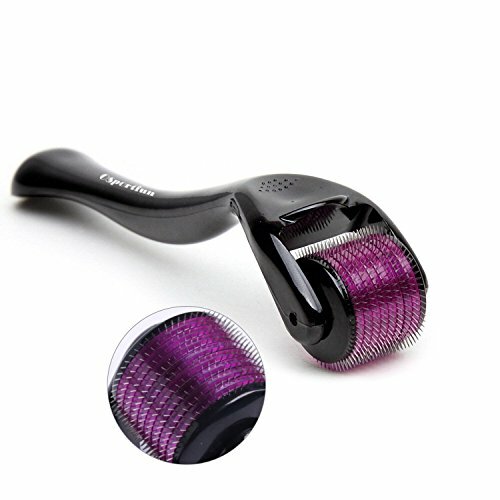 The price range for derma rollers is pretty attractive and there are derma rollers for everyone. Try not to go cheap though and make an effort for getting a good one, no matter what. The needle on the derma roller has to be the right size for your specific skin conditions. If you’re a beginner, go for a 1.0mm and up to 1.50mm needle, for good results and safety reasons too. If your skin is sensitive, don’t go for anything longer than 0.50 mm. If your skin needs needle longer than 2.00mm, it’s wiser to go to a beautician or a doctor for the procedure as you may injure your skin and cause some bleeding. The market is pretty generous and you should get informed, go online and through the reviews before making the final choice. Know your skin and don’t go cheap. After all, it’s your skin’s health at stake! 1.Even though its price is low, the Derma Roller Micro Needles, OSPORTFUN 540 Pins Facial Skin Care Tool is a great little tool to try that makes a nice impression with its reliable performance. Small and easy to grip, the derma roller is going to work on the fine lines and shallow wrinkles that we all want to get rid of. It’s gentle on face and it’s as painless as eyebrow plucking. It’s a personal matter in the end, truth be told. The derma roller is delicate enough to be used on lips, but you’d better pay attention to the pressure you’re using. You can safely use it once a day and follow it with your regular skin care serums or moisturizers. Coming in a clear case, the derma roller is easy to store when you’re done. Its case also keeps things all safe and sanitary until the next use. The derma roller is well made and its color combination looks pretty too. It shrinks your skin pores, helping your skin become healthier and smoother. It’s FDA approved so you shouldn’t stress about using it on skin. Keep in mind to properly clean it by soaking it in some warm water with soap. You may also soak it in alcohol for minimizing contamination. Don’t share it with anyone so that you don’t cause any infection. All in all, as it’s easy to use, efficient and low priced, the derma roller is quite a bang for your buck and a reliable tool to use on daily basis. 2.For anyone interested in using a derma roller without braking the bank, a dependable choice is the YNG Beauty 540 Micro Needles Microneedle Derma Roller Needle Skin Care. Made with real titanium, the derma roller comes with 0.25mm needles is efficient enough to improve your skin’s appearance after just one use. Shrinking the pores and minimizing the visibility of dark spots or acne scars, this little tool is great to use each night on skin. You may easily follow it with your typical serum/moisturizer as the derma roller is going to improve their absorbency and performance. Some may feel it a bit funny on skin in the beginning, but the more you’re using it, the easier and better it’s going to be for your skin. The derma roller is gentle enough to be used for plumping the skin and gives a nice glow to skin altogether. It comes with a roller case so no worries related to storing it. In order to keep things safe at all times, don’t forget to sanitize it before or after each use. Most use alcohol for sanitizing it. Looking slim and nice, the derma roller has an ergonomic design and gives a good and comfortable grip too. As long as you’re focusing on the good parts and pay attention to the low price tag, you should give it a go whenever in need. 3.Let yourself surprised by the Derma Roller Micro Needling Kit for Face 0.25mm. Nicely packaged and cute looking, the derma roller is going to check many boxes when it comes with performance and durability. The derma roller is going lessen the visibility of your skin’s imperfection and increase the efficiency of your regular skin care products. It rolls freely and smoothly on your skin, creating micro-channels that make serums absorb faster and easier and help the moisturizers do a better job too. 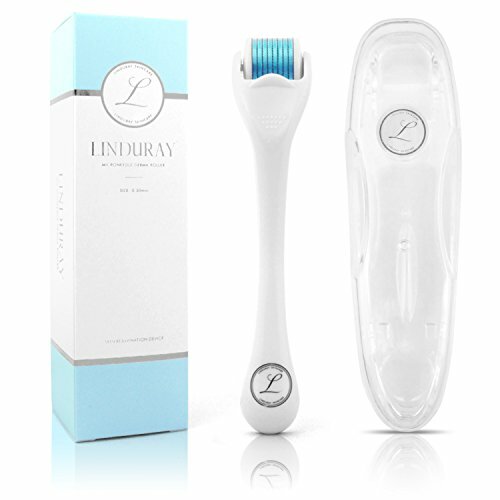 The derma roller leaves your skin a healthy radiance and doesn’t disappoint. The derma roller features 0.25mm needles that are made of titanium. They keep their sharpness even after intense use. Nevertheless, you can get replacements rollers when they’re dull. Gentle, yet efficient, the dermal roller doesn’t cause bleeding, but only a slight tingly feel in the beginning. It improves your skin texture and sustains the cell regeneration. Some also use it for stimulating hair regrowth. The derma roller comes with a useful storing case that solves not only the storage problem, but also the portability. You may very easily take the derma roller with you while travelling. Coming with a great instruction manual that is going to enlighten you about the use of derma roller, this little helper isn’t just dependable, but also pretty looking. Keep in mind to always clean it with some alcohol after and before each use. All in all, for a very good price, you get a pretty derma roller that spins freely and smoothly on skin, staying sharp for quite some time. 4.It seems that many good derma rollers come for the almost the same price which is why deciding which way to go may be a bit more challenging than expected. The Zenpy Derma Roller Micro Needle for Face is one valid option that you shouldn’t miss out when shopping. The derma roller features needles of 0.25mm so it’s perfectly safe to use at home. It repairs the skin without causing irritation or redness. It improves your body skin and tightens skin. It diminishes the appearance of fine lines and wrinkles, smoothing the fine lines. It gives your skin a healthy glow and makes it look younger. Due to the microneedle size and build, you can safely use the derma roller on most parts of the body, without worrying for any pain either. Made with titanium, the derma roller is sanitized and sealed by both UV and Gamma irradiation so that the needle set is free of any bacteria. Stay safe and sanitize it after and before each use as well. You can roll vertically, horizontally and diagonally the derma roller 4-5 times before using your regular serum or other skin care products. RELATED POST: Do You Know Your Skin Undertone? Here’s How to Find It! The derma roller has an easy grip handle and gives pinpoint control. It’s non-invasive and works well. It removes dead skin cells and tightens skin. It has a solid build and its needles are so fine and gentle on skin. It goes without saying that for a good price you get a reliable derma roller that makes a great job for improving the looks of your skin. 5.Featuring 540 needles and looking elegant and slim, the Premium Derma Roller Kit by Flawless Cosmetics is a valid option for better and younger skin. The derma roller features 0.25mm titanium medical grade needles that make the wrinkles less visible, smoothing out the fine lines and making your skin younger looking. The derma roller system doesn’t go deeper than the stratum corneum so it improves your skin complexion without damaging it. We really like the ergonomic lightweight design of the derma roller. It’s easy and comfortable to hold and the grip is sturdy. It’s not invasive and a great choice for the beginners too. 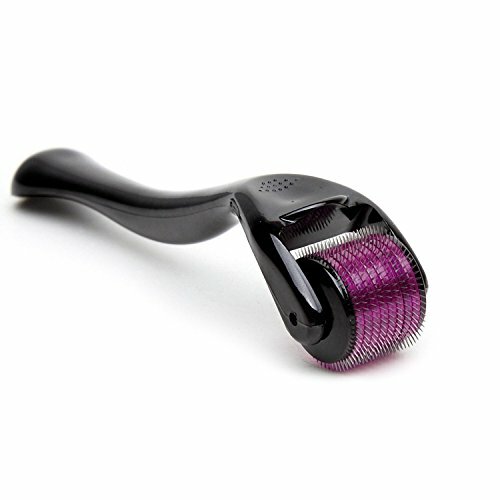 You should use the derma roller for ease up skin exfoliation for a smoother look of your skin. It’s a great tool to use for help your typical serum go deeper and easier into your skin. The derma roller kit is sanitized with Gamma Irradiation and Ultra Violet so the micro needle set is free of any bacteria. Elegantly and slim, the derma roller does a great job for a younger and healthier skin and it comes for a fair price as well. 6.Versatile and safe to use for both face and body, the Best Derma Roller Titanium Microneedle 0.25mm is one tool to use for your skin care routine. The derma roller features 540 micro needles that are .25mm long. It’s strong enough to work for both face and body, yet gentle enough to use on all skin types. It’s a safe choice for the sensitive skin and doesn’t cause redness or irritation. Made from high quality titanium, the needles of the derma roller go nice and smooth on your skin, for smoother and healthier skin. 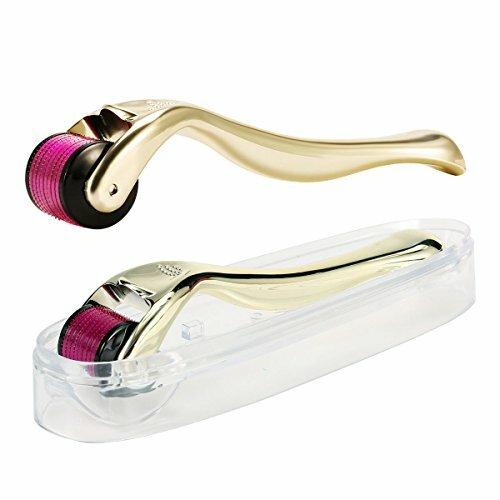 The handle has an ergonomic design so the derma roller is easy and nice to use. Some noted less visible fine lines and wrinkles after just 2 weeks of using the derma roller. You can barely feel the needles on skin, but this doesn’t mean the derma roller isn’t effective. The derma roller comes with easy to follow instructions so even the beginner may safely use it. Coming nicely packaged in a handy and pretty case, the derma roller is easy to clean and to use. Once you’re done with it, you can safely store it in the protective travel case. Regardless of the minor issues, as it’s easy to use, dependable and nice looking, the derma roller is to keep in mind whenever in need. 7.One of the most popular choices out there is the Derma Roller Cosmetic Needling Instrument for Face by Sdara Skincare and only a detailed description is going to help you get why the derma roller is such a common option. The derma roller is great for boosting a healthy glow to your skin. It’s a cosmetic needling instrument that comes with .25mm needles and it’s safe to use from the comfort of your home. It’s a non-invasive tool that gives results right away. You may confidently use the derma roller for exfoliating skin. 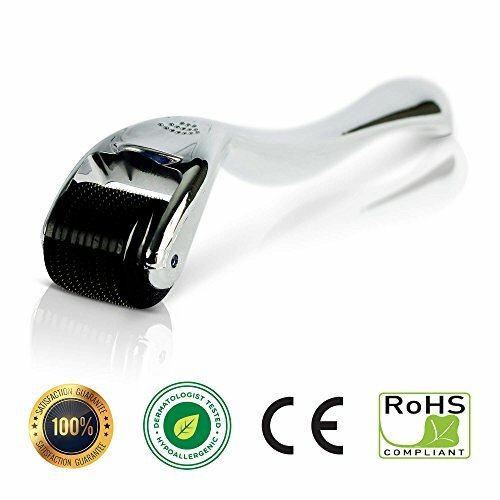 As it runs gentle, the derma roller may be used on face, head, scalp, chin, neck and nose. You can also apply it gently on any other part of your body and abdomen. However, make sure not go under the eyes as that area is pretty sensitive. The serums/moisturizer you’re using after the derma roller are going to penetrate deeper and faster your skin, for even better results. You only need to apply a slight pressure on the skin, as you don’t want to puncture it. Some recommend the use of the derma roller only once a week. The needles are tiny and placed right next to each other, for better performance. You may apply the derma roller on your lips. The derma roller comes with clear case for storage and it’s a great tool to complete your beauty regiment. Don’t forget to sterilize it in alcohol solution before and after use. As the good outweighs the bad by far, the derma roller is worth to try for a better and healthier skin. 8.The Derma Roller Microneedle Kit with Face Serum by Jasclair is a great option for many who would gladly pay just one price for two skin care products. Not only you get an-easy to use and dependable derma roller, but also a face serum that is going to improve your skin complexion too. The kit includes the derma roller and the vitamin C with hyaluronic acid facial serum. This is why you’re going to notice how the fine lines and wrinkles are slowing fading away. The whole kit is going to boost the collagen and tissue regeneration, but also smooth out the sun and age spots on face and body. Your skin gets firmer and brighter and the skin complexion gains its youthful vibe back. You’re not going to need a pricey microdermabrasion for sure. The derma roller features 540 titanium alloy tipped pins that are 0.25mm long, which is safe for use from home. The derma roller rolls nice and smooth and doesn’t cause any pain while penetrating the skin. It lessens the visibility of acne scars and sustains exfoliations of skin. It shrinks the pores and makes the stretch marks less noticeable. As for the anti-aging serum included in the kit, it’s formulated on Vitamin C (20%) with Hyaluronic acid and speeds up the collagen production in skin. It hydrates the skin and reduces inflammation, boosting the healing of skin and brightening the skin tone. It minimizes eye puffiness, crow’s feet, bags and dark circles and tightens the skin. It keeps acne and breakouts at bay and reduces acne scars. The minimally invasive 0.25mm pins on the derma roller are safe for home use as they’re not going to penetrate the skin. The facial serum addresses all skin types and it’s parabens and cruelty free. Well made from good quality materials, the derma roller has a metal-like finish and a sleek design. Easy to use, reliable and slowing down the aging of your skin thanks to the serum included in the kit, the derma roller isn’t an option to skip on when shopping. 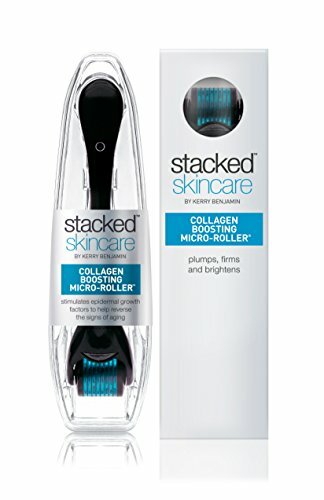 9.Easy to use and able to boost the collagen production in skin, the StackedSkincare – Collagen Boosting Micro-Roller with .2mm Stainless Steel Needles is a good investment to make for the well-being of your skin. Featuring 540 micro needles of .2mm length, the derma roller micro-exfoliates smoothly the skin, leaving your skin plumper, smoother and firmer-looking. You may confidently use the derma roller for softening and lessening the fine lines and wrinkles. When using the derma roller, the healing response of skin gets better too. The derma roller features .2mm stainless steel needles and it’s gentle enough to use even in more delicate skin areas, without causing any injury to skin. It eliminates the under eye bags and leaves your glowing and younger looking. The micro-roller removes dull and dead cells from the top layer of skin and leaves it plumper and healthier. You can go gently vertically, horizontally and diagonally, rolling it over each side of your face, lips, chin, forehead and neck. Your makeup is going to slide smoother on skin when using the derma roller and you can also use it on hands and wrists for removing dark spots. Pay attention to your skin reactions and use it only 3-5 times a week. The derma roller is easy to use and easy to clean and has a good build to it. The good build and reliable gentle performance of the derma roller aren’t surpassed by the minor issues so the derma roller is an option to keep in mind when in need. 10.For those of you who are interested into stepping out their game and are also willing to pay the high dollar for a derma roller, the GloPRO Regeneration Tool by Beauty Bioscience seems like the next right choice. GloPro features a patented technology that boosts your skin’s natural healing response, as it micro-rejuvenates deep within the skin. The MicroTips pass over the skin and the rejuvenation process begins right away. The MicroTips are designed to part skin cell in a gentle way and to create microchannel in the skin. They don’t puncture the stratum corneum and boost the collagen production in skin. They sustain the cell turnover and make your skin look younger and more radiant. The VibroTactile stimulation (it’s a delicate vibratory function in the tool) goes deep into the skin and eases the access to dermis. The tool also comes with LED therapy that improves your skin’s barrier function and helps it keep its key elements. It sustains the healing and collagen production. Red LED acts like an anti-inflammatory treatment, eliminating redness and evening your skin tone. Add the micro needling and you get yourself a tool that improves your skin complexion faster and better. The tool uses AA battery and has a good build, presenting a durability feel to it. It comes in an acrylic travel case and it’s easy to use. As long as you’re focusing on the goods and you don’t mind paying the extra buck for it, be ready to use a derma roller that stands out with its functions and patented technology. 11.For the customer that doesn’t have the patience when shopping, a great skin care kit to get is the Derma Roller Kit 0.3MM and Vitamin C 25% Hyaluronic Serum with Soothing Cream Skin Care Set Bundle. For just one price, you’re not only getting a derma roller, but also a hyaluronic serum and a calming cream to use for complete your daily routine. The needles are straight and the derma roller is efficient but doesn’t cause redness or irritation. It’s gentle and goes smoothly on face, without you needing to use pressure. The kit also includes a hyaluronic serum that is enriched with Vitamin C. hyaluronic acid hydrates the skin for a long time and it works together with Vitamin C for moisturizing efficiently the skin. The serum keeps your skin healthier and smoother, for longer time. You’re going to find in the kid a soothing cream that brings comfort to skin after the use of derma roller. You may confidently apply it for a calming effect. Formulated on bee’s wax, vitamin E and flower extract, the cream is a nice addition to the kit. The whole kit is great for home use and makes an attractive gift for your loved ones. The packaging is cute and you’re going to appreciate every item you get. Regardless of the negatives, for the versatility, ease of use and ability to complete your daily skin care routine, the kit shouldn’t be missed out on whenever in need. 12.Getting rid of the acne scars is no picnic and sometimes you simply need to step up your game for actually noticing results. 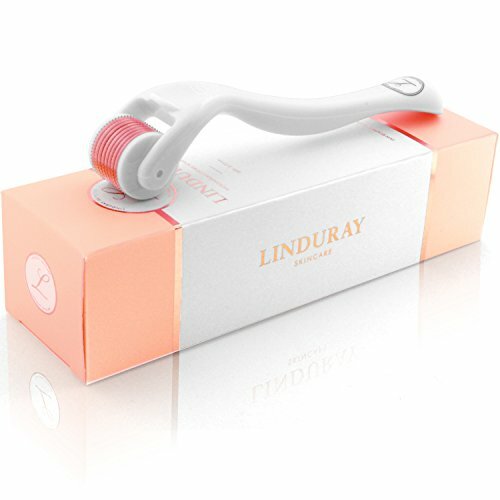 A great tool for that is the Derma Roller Kit for Face 0.30mm by Linduray Skincare that is not only going to make your skin look and feel better, but it’s also going to heal the scars, fading out acne scars and other skin conditions. 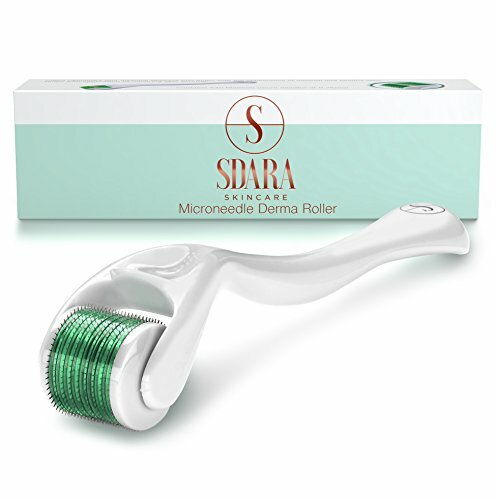 Micro needling has become quite a popular method to take care of your skin and this derma roller is no different. It features 540 micro needles that puncture the skin and creates tiny channels that make the serums and creams absorb faster and easier into the skin. Able to improve your skin’s elasticity and your skin’s complexion, the derma roller lessens the visibility of skin flaws and keeps your skin younger and fresher. It opens pores and sustains the cell regeneration. You can also use it for boosting the hair growth. Easy to use by beginners and experienced professionals alike, the derma roller gives great results after a couple of weeks, especially when followed with serums and skin care products. 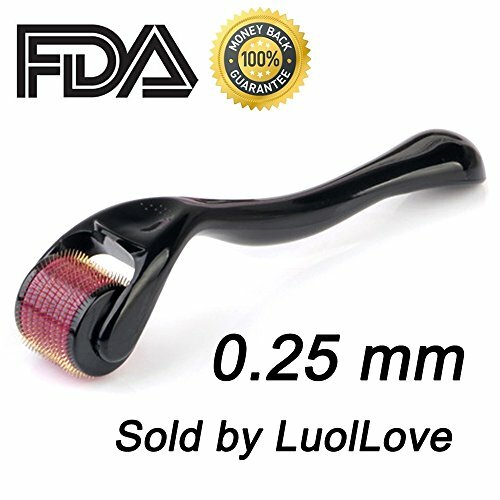 The derma roller has an ergonomic design so holding and using it is both comfortable and easy. It comes with clear instructions and its plastic clear case makes it easier for storing and carrying it. Affordable, reliable and great for fading the acne scars, the derma roller is also good for overall improvement of the skin and money well spent at the end of the day. 13.Not only the Dermapeel Titanium Microneedle Derma Roller 540 Micro Needles Skin Care Needle 0.25mm+hyaluronic acid serum is a reliable little roller to use for better skin, but it also comes with a hyaluronic acid serum that is going to help you fight the aging of skin. The derma roller features 540 micro needles that are 0.25mm long, which makes them safe for home use. When you’re using the derma roller, the fine lines and wrinkles slowly fade out and makes stretch marks less visible. The size and density of the needles is just right for ensuring a gentle, yet effective work on skin. The derma roller leaves the skin fresher and brighter. It improves its firmness and tightens it, for healthier and younger appearance. You should not only use the derma roller, but also follow it with the hyaluronic serum included in the package. The hyaluronic serum is going to penetrate deeper your skin, lessening the appearance of wrinkles. It hydrates and moisturizes the skin and keeps it fresh for longer time. The derma roller comes with instructions that are easy to follow and reliable if you’re a beginner. Well-build and easy to use, the derma roller is gentle enough to work for sensitive skin and gives great results for most. 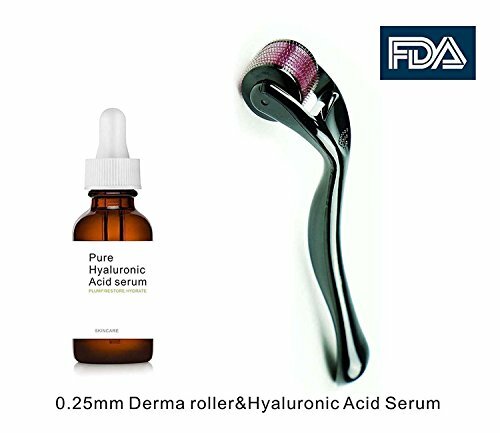 All in all, as it helps your skin look and feel younger and healthier, the derma roller is a solid option that comes with a hyaluronic acid serum to complete your skin care regiment.